This weekend I am staying home with a sore throat to tidy the house (and generally stay off the computer) while Becka goes caving to Yorkshire. I’d have just been a drag. Last weekend (17 November) we went digging in the mud at the far end of Large Pot where one of the biggest passages in the Yorkshire Dales travels 500m in a straight line and closes down for no reason. The exercise — of aligning cave images with points on the map — does point out flaws in the cave survey. The long term goal is that, rather than leaving these maps in books or on wall posters where it doesn’t matter if they are wrong, we take these surveys down underground with us, either on paper which gets completely muddified and scrunched up, or on a small-screen PDA in a plastic bag. I was thinking, what if we could project it onto something bigger. Leaving aside that there is not much that is flat and white and suitable for projecting such an image against, what if all these new funky caving LED headlights with their microcontrolling software could also double up as digital projectors. You’d hit a switch on the inside of your helmet and, voilà, there was the steadified map of the cave projected on someone’s back so that the rest of the team could pore over it to work out where they were going. It would be like that time on Expo many decades ago when the cave was a lot simpler and the complete map was printed on the back of the T-shirt. There you would be sitting on a bench and reading a book, and suddenly there would be two or three cavers drawing with their fingers on your back as they planned out their next trip. Those were the days. The T-shirts weren’t of such shoddy material they actually lasted to the end of the month and sometimes many years beyond. I’ve already had to retire this year’s T-shirt due to holes and stains. On the other hand, the cars were pretty bad. A 50% attrition rate on arrival at Base Camp (and improvised scrap yard) was not unusual as vehicles limped in or were towed the last few hundred miles by breakdown cover. 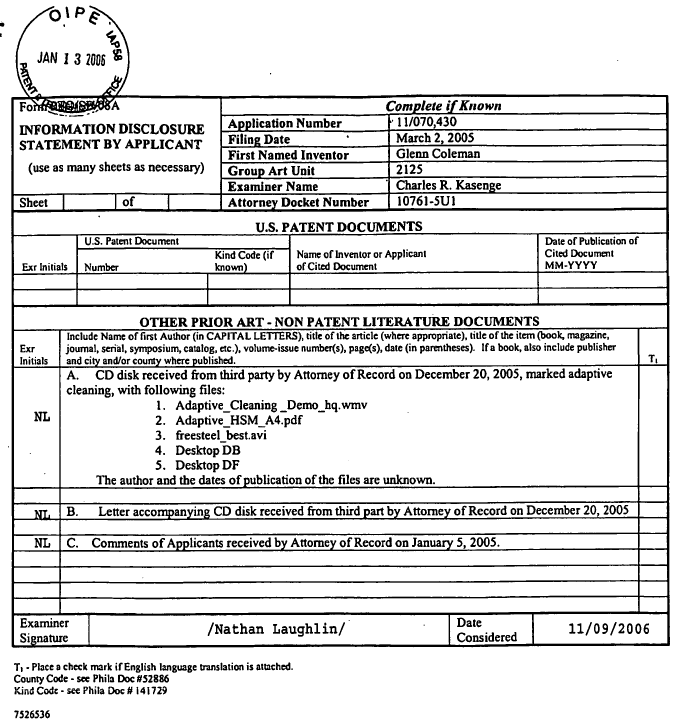 I had reason to consult some early and embarrassing 2005/2006 entries in this blog, specifically Patent Schmatent, Patent part deux, and Nothing happened. These concerned software patent 7451013 applied for by Surfware which had just been published while I was at Euromold that year. After running around all excited for a few hours about how this theoretical threat had manifested into something real, I got told by one of the red shirted folks on the Esprit stand (to whom we were attempting to hawk our Adaptive Clearing algorithm) that there was a way to submit our evidence of prior art to the US Patent Office before the patent was granted. We looked into this, but it seemed to involve a submission on just the right grade of paper, plus $150 in the appropriate format for the patent office to accept — no doubt some kind of hard-to-obtain currency bank bond that would have cost us $500 in the way of these things. For details, see CFR 1.99 Third-party submission in published application. So we mailed a CD with some videos to their lawyers Akin Gump Strauss Hauer & Feld LLP. …And didn’t hear anything back. 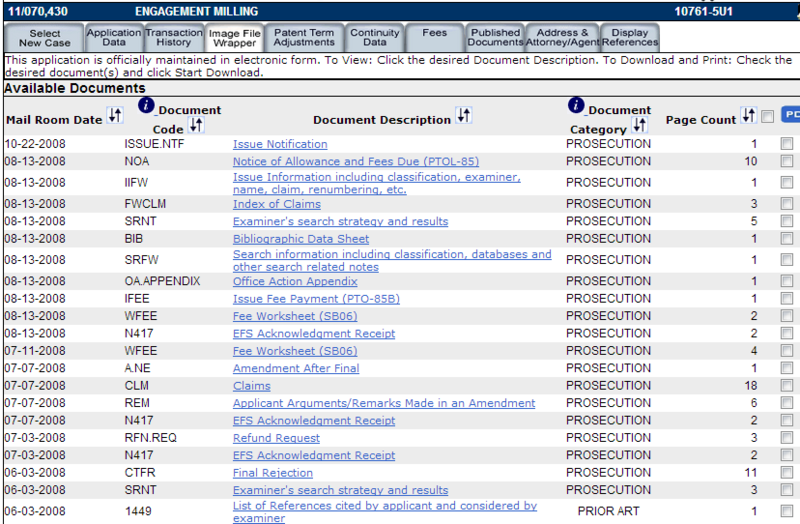 Not being a professional patent wrangler (my job is to write code that does something, not push papers around containing useless gibberish for the purpose of preventing other people from writing code), I didn’t know of portal.uspto.gov where you could see all the documents relating to the patent process. Hint: Maybe if you read exhibit (B), the Letter accompanying the CD, then the author and dates of publication of the files in exhibit (A) would not have been unknown. Dipsticks! Just when you thought your opinion of patent attorneys could sink no lower. (c) Protest and Pre-Issuance Opposition. The Director shall establish appropriate procedures to ensure that no protest or other form of pre-issuance opposition to the grant of a patent on an application may be initiated after publication of the application without the express written consent of the applicant. I always did wonder why the avenue for challenging a patent application was so awesomely crappy. (1) It looks like we did exactly as much as we could, having found a loophole in this deliberate fortress of unaccountability. (2) Anyone hoping that the legislative branch is going to clamp down on the patent excesses promulgated by an over-active judicial branch should be disappointed. 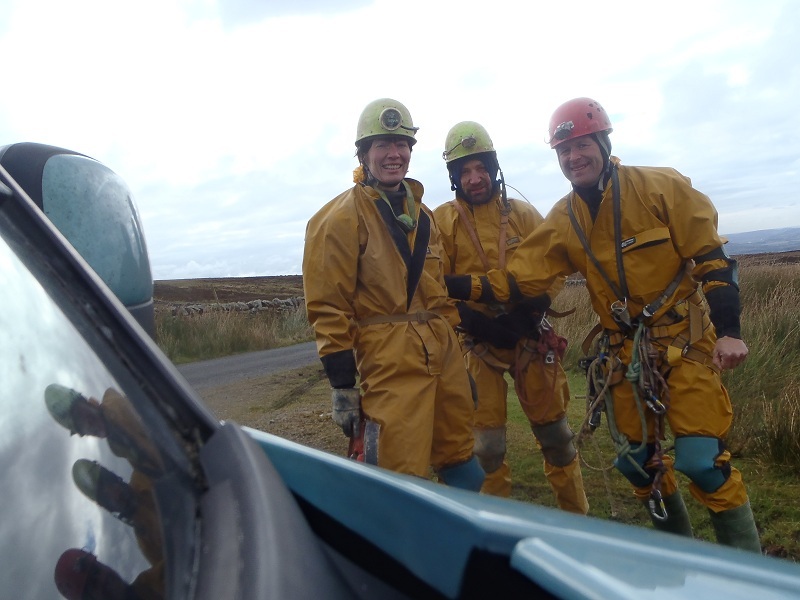 Skived off on Friday 26 October to go survey the new Lost Johns’ cave entrance on Leck Fell called It’s a Cracker. As you can see from the survey data, I was in charge of putting the little white dots on the cave walls for the laser to point at. 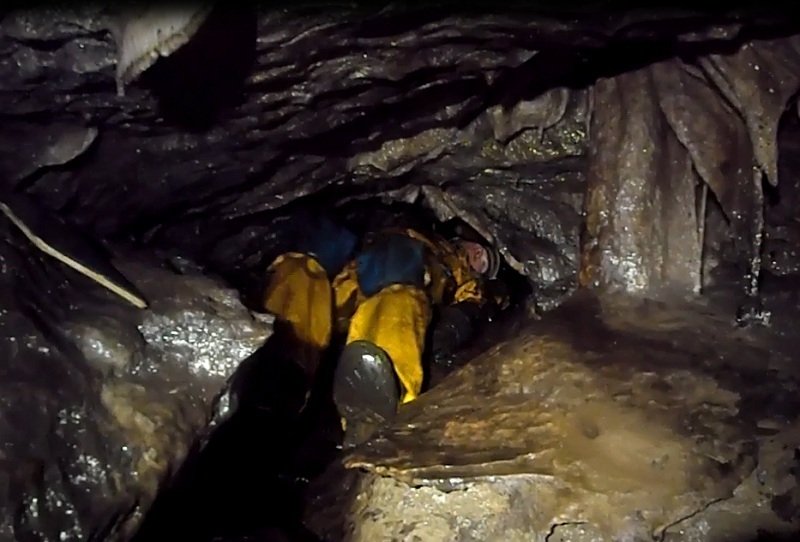 On Saturday Becka and I surveyed the lower parts of Boxhead (a section of Lost Johns’ which It’s a Cracker descends into) through the tube (a constricted passage with fast flowing water that backs up when you crawl into it) and down into the upper main streamway. There were some muddy side passages to inspect and draw up. Survey was by compass and clino and drawn on paper, and not laser powered. 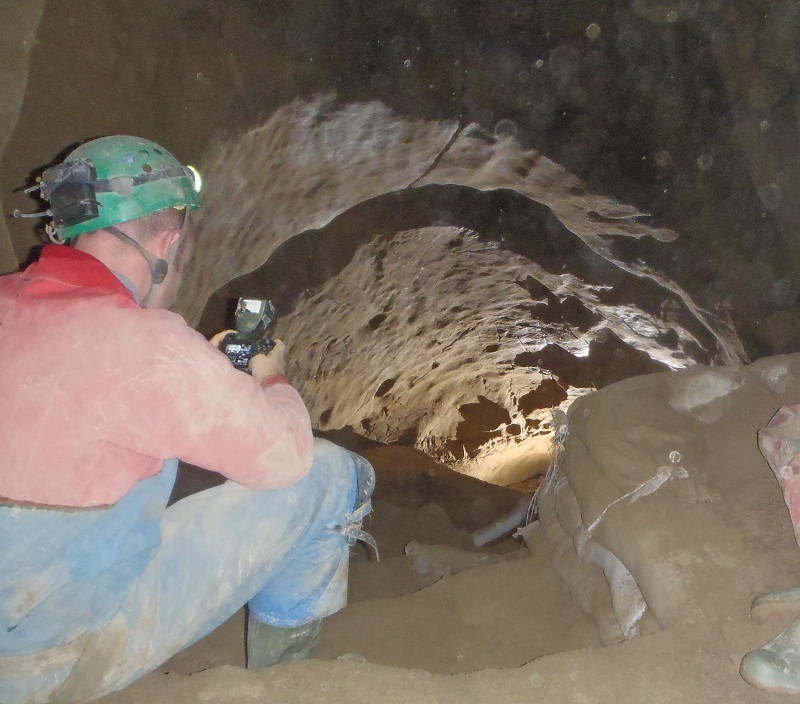 Sunday was all day in Bull Pot Farm for me working on esoteric tilting features in TunnelX, while everyone else did some surveys of Notts Pot, which is connected to NottsII and Ireby via sumps that we cannot survey because we are not cave divers. The following weekend Becka was not feeling very well, so I got some time off to catch up. (Now I’m behind all over again, so was it worth it?) 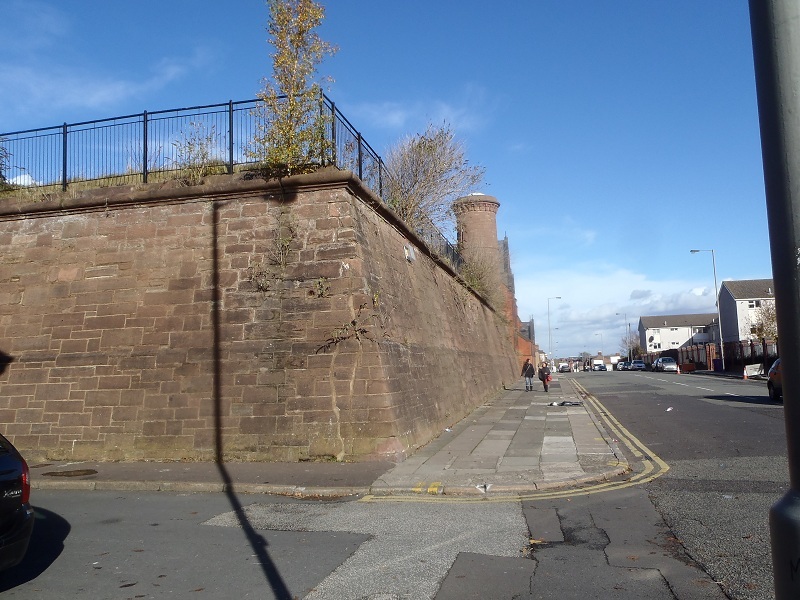 We did cycle at an extraordinary slow speed up to the disused Toxteth reservoir (water tower not in a tower) where there was an art exhibit. The building itself was a more interesting to us and very cave like. 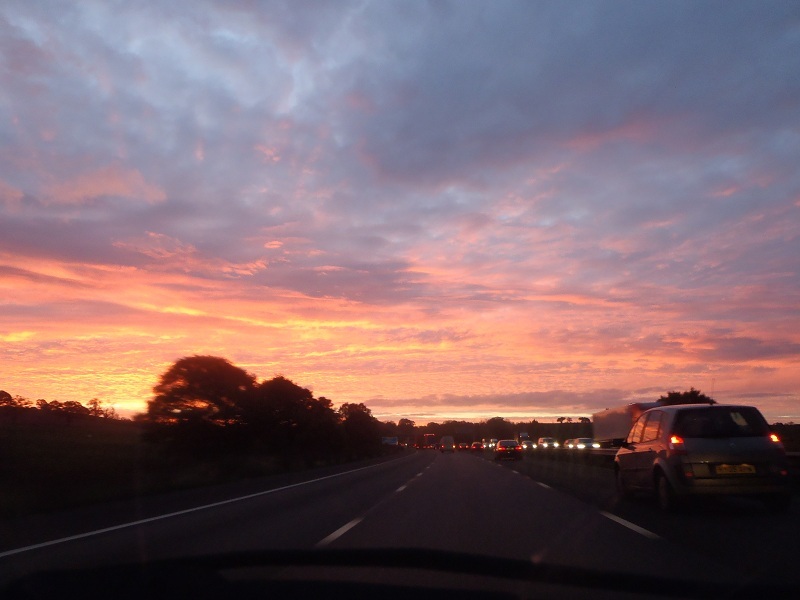 Dawn broke on the drive down the M6 from Southport to Birmingham on Tuesday morning. On Saturday 10 November we rustled up a team of 8 to dig in ODB. We made 2 metres of progress through tantalizingly layered sediment that could break through any moment. According to the visitor’s book for the cave not much digging had occurred there since we were there last year. Because I was going away to Cambridge for a couple of days, I had to precede it with some 6am leaflet deliveries in St Michael’s Ward. 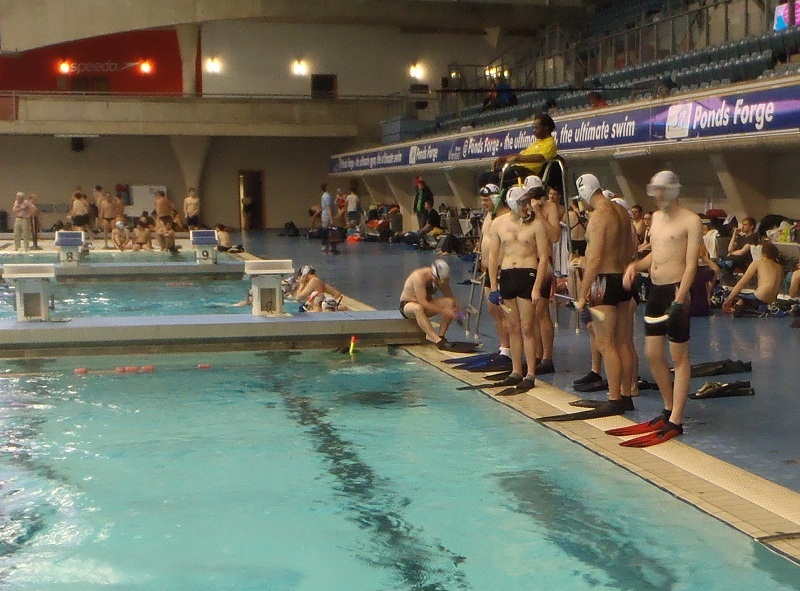 Sunday was another insanely early rising, this time at 5am to get a lift to Sheffield to play at the Nautilus competition (underwater hockey) due to short staffing on our Liverpool team. This isn’t a picture of us. This is the Guildford team who didn’t belong in the bottom division, as we do, who whipped us good and proper. Matching swimming trunks is often a good indicator that the team is going to work together. 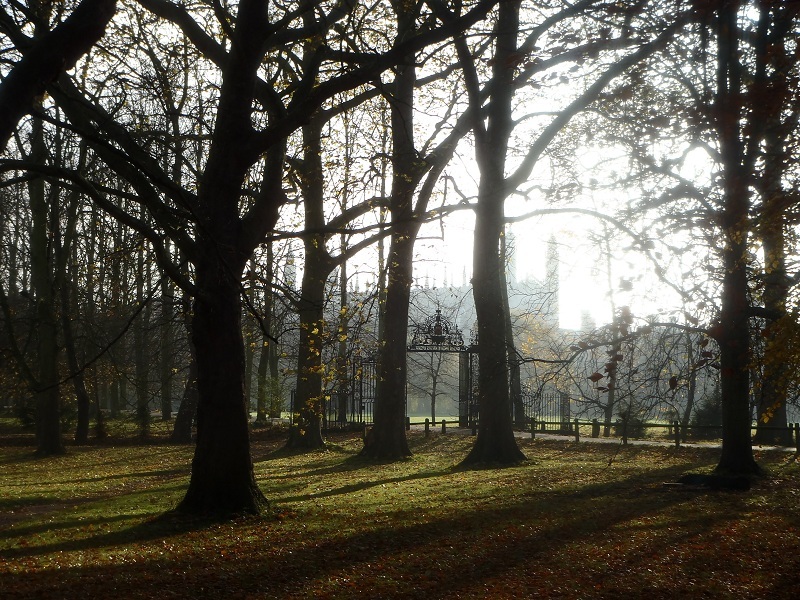 Finally, there was two hard days down in Cambridge at the ASM offices looking at the old triangulation situation in their code. And now I’m back in Liverpool, writing emails and generally getting nothing done for hour after hour. Somehow fate has led me to spend the night of the 2012 USA election in some crappy hotel on in the centre of Birmingham airport, rather than at an all night election party (not that I could find any). The £1 I just spent at the desk for a spare toothbrush was the best thing all day. I was drafted to be on the ScraperWiki stand at the EHI trade show today and tomorrow where I can witness the closed-source profitably defective UK health IT industry in its full self-sustaining glory, and be denied the free lunch because I only have an exhibitor’s pass. Humph! I’m not coming here again. So the election is going to be close. Between the Bradley effect and the stolen votes (a corruption for they have worked so hard on for so many years) it can still credibly be won by Romney, who shouldn’t be scoring more than 10% if people voted according to their actual self-interests. You have to look on the bright side: eventually they will cut taxes so far they will be forced to rationalize the size of their military. Nothing else is going to do it — and war is the institution we invented taxes for. 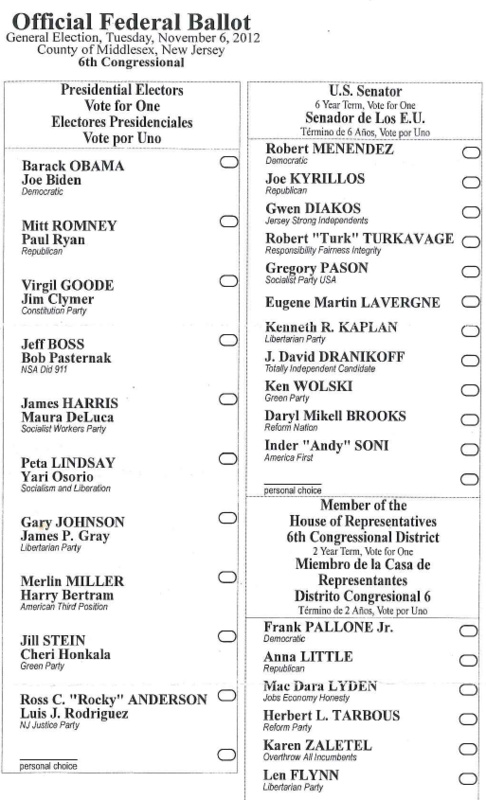 Here is a scan of an absentee ballot, just to show what kind of choice is available to New Jerseyans. Autodesk CEO Carl Bass said in a recent interview that he wants to see the government “mandate” the use of 3-D technology to prevent mistakes, reduce waste and achieve the best results. …[Autodesk] sees a potential windfall in such requirements and has a lobbyist in Washington, D.C., as well as advocates talking to state officials who oversee how federal funds will be used. I approve of the idea of forcing the administration of the built landscape to get beyond the paper and pencil age and into the era of proper digitization, so we could browse live maps on the internet that accurately represented all the current infrastructure — and all proposed plans of changes submitted by developers to that landscape. Such a map could lead towards cracking the much more severe issue of the screwed-up legal infrastructure — Who owns this piece of land that I am standing on? — for the law is totally tangled and obscured and cannot be wrangled by the simple application of a shovel. It is far easier to dig a ten foot hole to find out whether an electricity cable passes underneath than to determin who controls the corporate entity that owns the corporate being that has shares in the commercial organization that leases a particular parcel of land.